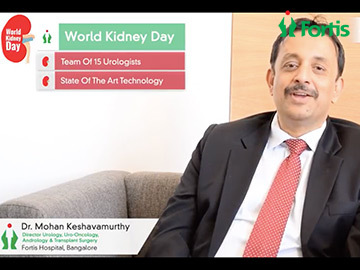 Dr. Keshavamurthy Mohan is an eminent Urologist, Uro-Oncologist, Andrologist, Transplant & Robotic Surgeon with over 25 years of extensive surgical experience. He is a pioneer in Laser Urology and an expert in complex reconstruction of the urinary tract and major uro- ontological procedures in both adult and pediatric age groups. He has performed over 3000 laser enabled Transurethral prostate procedures (LASER TURP), 2500 laser fragmentation of kidney (RIRS) and ureteric stones(URS), 2500 kidney transplants and 75 pancreas transplant. He has been instrumental in setting up the most successful kidney transplant programs in West and East Africa as well as the Middle East. He is an acknowledged expert in implantation of flexible and inflatable penile prosthesis and penile lengthening procedures, Artificial sphincter insertion and redo hypospadias surgery. A meritorious and award winning student, Dr Mohan after completing his MS in general surgery completed his MCh Urology from the prestigious KEM hospital, Mumbai. He was the topper for Mumbai university in the MCh urology exam. He then completed a fellowship in Urogynaeconcology from the renowned cancer institute, Tata Memorial Hospital Mumbai. Besides these, he has done advanced training leading to a Fellowship in Solud organ transplantation from QE II HSX, Halifax, Canada and Fellowship of American society of Transplantation thereafter. Dr Mohan has contributed many articles in various peer reviewed journals and has been an invited as a speaker at scientific meetings in over 20 countries. He is also a Professor of urology and faculty member for the National DNB Urology training program. Dr. Mohan is an expert in the field of Urology and Solid Organ Transplantation.